Mayo glossy new red from Decimal, very comfortable to walk all day, and of course in affordable price, really worth to die for, try have pairs of Decimal shoes! And for fashion blogger, they have special discount if you put their banner on your blog page. very fashionable look and unique fashionista blog ! 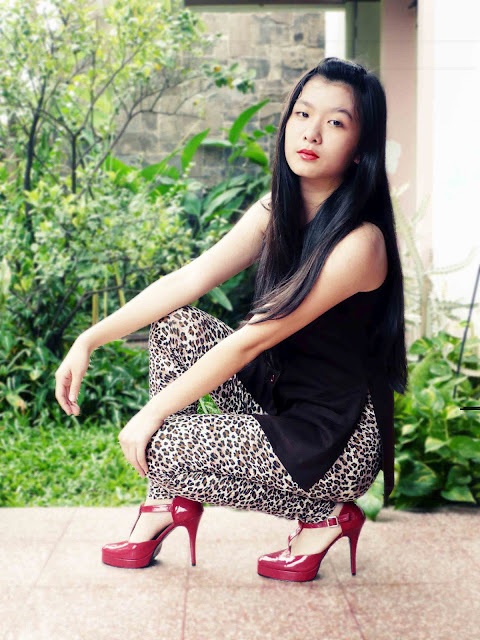 please visit & follow mine too if you like it too..
You look very nice with the animal print leggings as well! Romwe 20% discount coupon GIVEAWAY, who want?